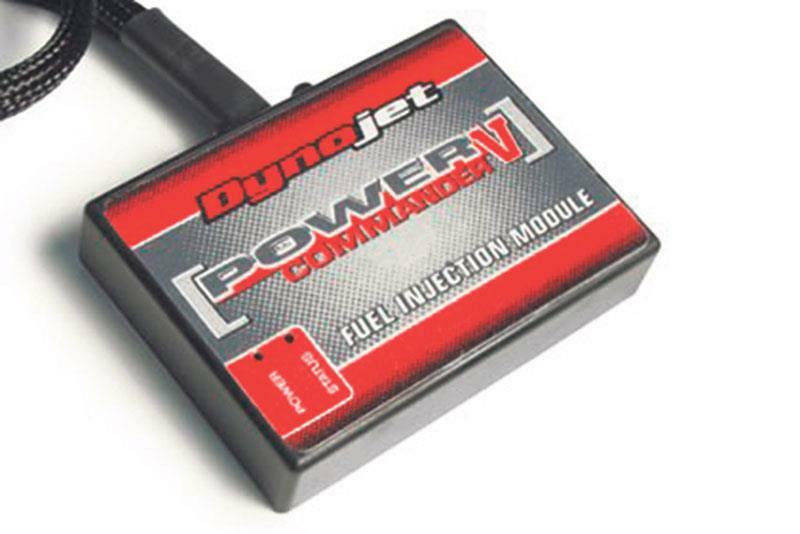 Dynojet have updated their Power Commander V fuel and ignition module to include maps to suit Kawasaki’s 2017 range of 650 motorcycles. The module can now be fitted to the New Ninja 650, Z650 and Versys 650 bikes. The trusted 649cc engine was updated for 2017 to bring it in line with stringent Euro4 emission and noise regulations — with the Versys 650 model getting updated and the Ninja 650 and Z650 replacing the old ER-6 models. The Power Commander V module gives the user control over the fuel delivery and timing of the engine to improve fuel efficiency and throttle response. It’s especially useful to those who may wish to fit aftermarket exhaust systems, which could run rich or lean on the standard ECU map. The unit comes with pre-programmed maps to suit the bikes but is also fully programmable thanks to a USB connection. The USB simply plugs into the module and can even be connected to an Android smartphone or laptop where the user can also upload and adjust the map settings on the Power Commander. The Power Commander V also allows for additional accessories to be fitted to the machine including a Map Selection switch (£49.00), which allows for two different maps settings to be used to suit the riding environment. For example, a performance map could be programmed for when the bike is used on track and an economy map could be used to save fuel when riding or commuting. Alongside the map switch, a pull-style Dynojet Quick Shifter is also available to be used with the Power Commander V too and is available for £192.00. Both of these accessories are simple to fit and work in 'plug and play' format when connected to the module. The Power Commander V is available now for the Kawasaki models for £388.48 — Find out more information on the Dynojet website.